Oh hell yes! I hope we get more remixes from Mega Man 4,5 and 6 and Mega Man X2 and X3. Woo I am so excited more remixes of the same songs that always get remixed. Eh... At least it's better than Xover. Though I do hope to hear more remixes from a larger variety of games, and not just the classic NES titles. Oh hell yes! The Rock-Men did an amazing job last album, every single song was worth it. Dr. Jerk: You do realize the first album had music from the X and Legends series, in addition to the original series, right? And geez, it's one thing to voice disappointment with something bad coming out (X-Over), especially when it's a crappy, half-assed game that's slapped together and touted as celebrating the franchise's 25th anniversary... but why do you guys always have to rag on the cool stuff, too? Hey, some of us fell in love with the series BECAUSE of the awesome music. Not me, personally, but it IS how I got into Castlevania, and I know many people that got into Mega Man through its music. "Woo I am so excited more remixes of the same songs that always get remixed. Lol! I guess this album is not terrible news. Then again, anything that's not Xover is good enough for me. I can see why there is some sarcasm involving this album. Good God, how many albums full of remixes are out there, usually involving the same songs? This will probably find itself downloaded onto YouTube, so I won't be buying it. It also had THREE remixes of Dark Man's stage music that had already been in the vocalzied Rockman Kai album. Just cause it had a couple X and a SINGLE Legends track did not make it sunshine and roses. Shame. The original album was the worst Rockman remix album so far. What we really need is another Chiptuned Rockman. @Clown Prince of Crime: Of course I know that the first album contained some remixed tracks from the X series and one from the Legends series. However I found that the album was catering more to the classic series, which is really no surprise. What I meant is that I would still like to see more tracks from other titles and series. More tracks from the BN and SF series would also be great in my opinion. @Dr. Jerk: I guess maybe I never saw catering to the original series as a problem since it's my favorite series, but still, it's not like it was exclusively just that series as you made it seem in your initial statement. Still, with seven series, it's not like you can always give equal representation to all of them at all times. And honestly, the original series and the X series are the most popular ones (the Legends series has a very vocal cult following, but it really isn't anywhere near as popular as those other two), so they're always more likely to get the most attention due to that. @Anon two posts below me: Ya, okay, it did have three different remixes of Dark Man's theme. But to be fair, Dark Man's theme isn't a song that you see remixed very often. A pity, as it's definitely one of the most awesome songs from the series. But usually, only the first three games tend to get recognition from remixers, while all the ones after 3 tend to get ignored. Mega Man 2, of course, being the game that seems to have the most remixes out there. This album didn't stick solely to that, though, which is something I highly enjoyed. MaverickHunterAsh: How is it the worst album? 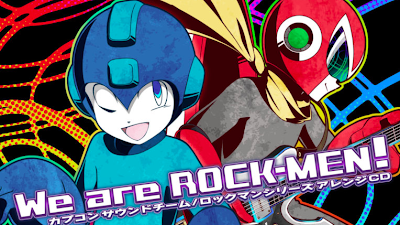 Don't get me wrong, "Chiptuned Rockman" was awesome, but I don't see how anyone can call "We Are ROCK-MEN!" the worst Rockman remix album, even if they didn't care for it. 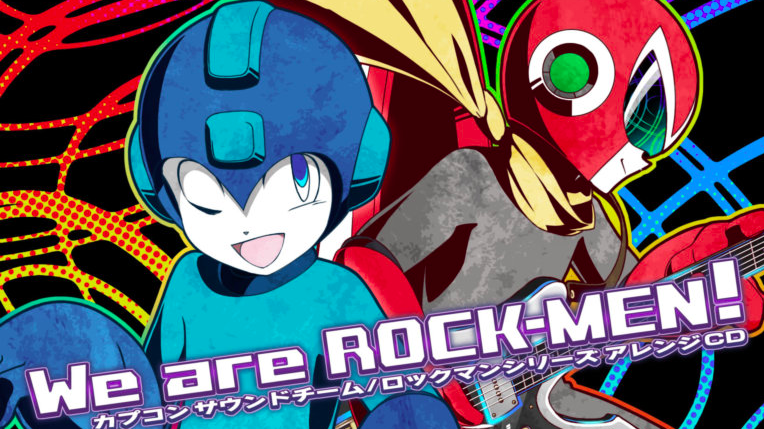 Heck, right off the bat, I can say it was better than the "Rockman 9 Arrange Soundtrack" (which I did still like, but ya), so it's hardly the worst one. Unless you were merely using hyperbole to try and make a point? It's also not just the classic series, but how the albums only seem to cater more specifically to MM1, MM2 especially, and MM3. 4, 5, 6, and especially 7, 8 and MM&B almost get zero love. And don't get me started on the severely neglected Rockman World/GB titles. Of course, part of that has to do with popularity with those games, but still, it's not like 1, 2 and 3 are the only games in existence. It's awesome to see more mega man music hit the shelves since it's the blue bomber turns 25 =D If you want more Mega Man music you can check out my album Mega Man 3 - Turn of Events.